MAS Lake Queen Hotel is one of the best hotel in Kerala at Thekkady. Would you like to know more about MAS Lake Queen Hotel? Read here about facilities, tariff plans and contact address of MAS Lake Queen Hotel. 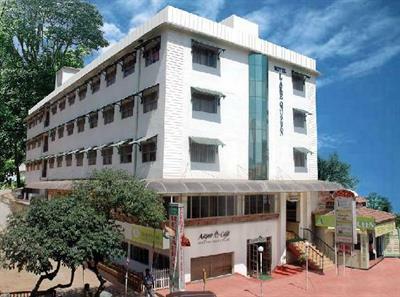 The MAS Lake Queen hotel is situated at Thekkady Junction on the NH -220(old KK road). MAS Lake Queen hotel offers you every solace and luxury you are cherishing on a holiday for long time. Around MAS Lake Queen hotel you can capture many places which cherish your mood and make you relaxed. MAS Lake Queen hotel comes with good comfort for guests and with modern amenities to ensure you that you are staying Heaven like experience. Come and enjoy the splendid and most beautiful views around thekkady. The MAS Lake Queen hotel is mostly liked by many peoples and it is fully furnished with great values. The Interior and exterior are good enough. Here in MAS Lake Queen hotel we can have an Ayurveda therapy in lake view Dining room for families who can chat over there and enjoy for whole night. MAS Lake Queen hotel is mostly liked by Honeymooners. Car Hiring is also available for guest to visit some tourist spots around MAS Lake Queen hotel Doctor-on-call facility also available for guests. Here everything is in traditional and village style that admires most of the Guest to drive in for MAS Lake Queen hotel. The MAS Lake Queen hotel is got with its natural beauty over the lake and the view are fascinating for everyone who wants to admire Kerala. Here Many facilities are available for guests with moderate cost and guest can experience a pleasure full atmosphere overall in the MAS Lake Queen hotel. Overall the views captured here are most memorable and can able to hide it from others. Many tourist spots and The MAS Lake Queen hotel are also loved by Honeymooners. And people will surely like this place if they visit. The atmosphere overall tends every people to come again and again without fail and they are not able to leave the place that much easily. stay in MAS Lake Queen hotel which will available in very moderate rate.